Major disruptions, whether natural, technological or social in nature, can occur at any time and indiscriminately affect all organizations. 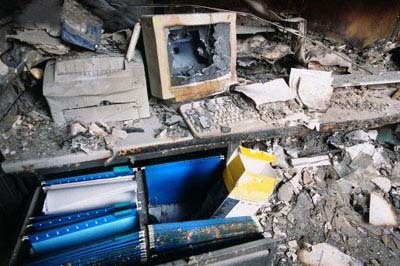 Once hazards are under control, the organization’s concerns shift to business continuity.Through business continuity or recovery strategy planning it is possible to maintain a minimum service threshold and reach performance levels according to business objectives, despite the current crisis.Business continuity planning allows an organization to withstand major disruptions (computer systems failure, major decline in human resources, loss of access to premises, etc.) and adapt to the changing environment.Multi Risk International can help prepare your organization to deal with the different consequences of such disruptions.Looking for more information? Please feel free to contact us. Our team will provide you with detailed information and offer your organization solutions tailored to its needs, thus increasing its resilience and adaptability.